Frequently we get requests by our customers regarding whole bunch of different questions that are not technically related. Questions such as: where do I find my contact information; how to activate my product; product information related questions; subscription access issues, account related questions, to name a few. None of these is for Product Support but they somehow find a way to go to through. I’m sure many of you have been sent to autodesk.com/customerservice (Customer Service) page where you could get some quick pointers to your questions. On Customer Service page you may have noticed an orange button with ASK on it. But did you know that you could also download products from there? If not then continue reading. Once you click on that orange "Ask" button you will be greated by the pop-up dialog with several options you may find very useful. Questions regarding, software rental, upgrade information, Serial Numbers and Product Keys, etc are soem of the areas you can go from there. One of them is, off course, "Downloading and Installation". So, let's explore it with hope to find, let's say, AutoCAD Civil 3D 2014. Click on it and then select "Software Downloads Links" (here you may find two other links (for download and installation support) and then "I need to redownload my product". The next screen will show with listed product families such as Suites, Mac Products, Revit, or 3ds Max Products, Motion Builder, and so on. Us being civil people,... we may be interested in "AutoCAD Products". 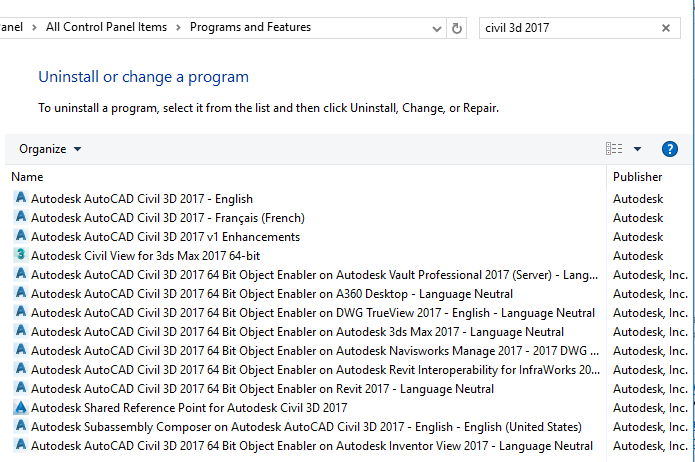 Click on "AutoCAD Civil 3D"
Then you get options to download versions of Civil 3D starting from 2010 to 2014 you wish. Keep in mind that there are 32-bit versions as well as 64-bit versions of Civil 3D. We came across one interesting post from our friends at Up and Ready. I gladly suggest that you also take a look for some very informative posts on that blog. In any case, this post I think may be interesting for our Map 3D and Civil 3D users so I am sharing it with you. “ASPX file failed to run at URL: httpr://localhost:80/TestASP/testASPNet.aspx”. If you looked throughout our knowledge base you may have stumbled upon thisTechnical Solution which can give some clues. Until this message is resolved your installation is stopped. The link may point to a help article suggesting making sure to open ports and have IIS. If you tried all that and still got the same failure during pre-check then you are about to resolve it by continue reading this article. You can even create a little desktop icon like I did, which makes it even more accessible as I often run this utility to bring me back to stock settings. Thanks again to Almas for the great original post!